What is missing from our care for women having babies? Women today in this country are very lucky to have access to exceptional prenatal care from midwives, physicians, and obstetricians (and locally from Healing Hands Chiropractic!). They have a variety of options available to them for labor and delivery as well: hospitals, home births, free standing birth centers, etc. Prenatal care and choices for birth have really come a long way over the last few decades in the United States. However, I believe there has been a detrimental decline in one large area: postpartum care. 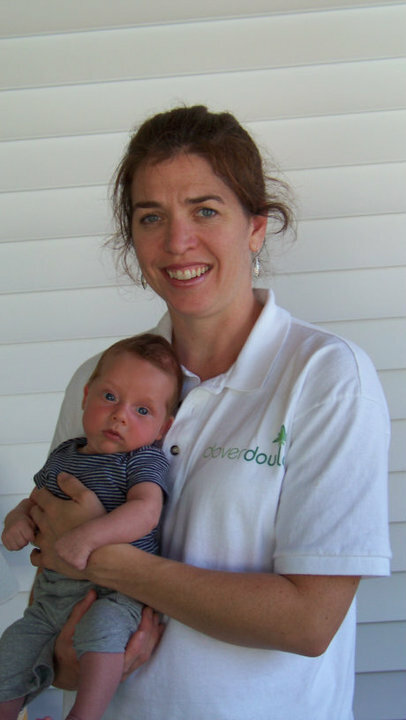 Enter the postpartum doula! Postpartum doulas are knowledgeable professionals who assist families during the critical period immediately after the birth of their baby. They “mother the mother” and offer physical, emotional and informational support to the family, as well as practical help. The doula’s expertise in mother and baby care enables her to assist with postpartum comfort measures, breastfeeding support, non-judgmental guidance in infant care techniques, information on normal postpartum restoration, and family emotional assistance through this major transition. These doulas provide essential support during the modern postpartum experience, a time when many mothers today feel uninformed, isolated and anxious. Traditionally, the postpartum period was a “nesting period,” when a new mother was attended to by other experienced mothers. They helped take care of her and her family, so that the mother could focus on the vital tasks of postpartum recovery, emotional adaptation to great change and getting to know her precious little one. Today few families have such support, and frequently become exhausted and overwhelmed by the immense work of becoming parents. Postpartum doulas gently guide and support families through this transition so that they may get off to the best start with their new baby. Instead of focusing on changes that need to be made with our healthcare system, I’d like to focus on societal changes that we can instantly start working on now -on an individual basis. Call your insurance company now to find out if they will cover postpartum care and if not, if your Flex Spending Account will. Search out places to meet other new moms, like the La Leche League meetings at Healing Hands, Mom & Baby Yoga or Music classes and other Mommy & Me groups. www.meetup.com is a great place to find people! Include these ideas in your Postpartum Plan so you have them written down once the baby arrives. Reach out to other new moms. Get out of the house at least a few times a week. See #5 above. Remember you are not alone. Motherhood is hard and is better when you are getting the support you need. Push aside the thank you notes, step over the laundry basket and GO TAKE A NAP!